Back Issues for Business Training Matters! Below are all back issues of Business Training Matters!, which you can subscribe to from this site. December 04, 2014 -- Highly Recommended Business Books - "Must-Reads"
November 25, 2014 -- Are You Prepared For 2015? September 09, 2014 -- A 10 Second Email? September 02, 2014 -- Have you caught this one? July 02, 2014 -- News! 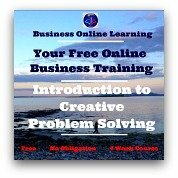 Our First Elearning and it's Free! March 08, 2014 -- Business Training Matters!, News on the Training and Community. November 22, 2013 -- It's Our Birthday. 2 Years Old - And We Have A Present For You!